After the Women’s March SLO Hear Our Vote: Voices of Resistance Rally Jan. 20., some students are voicing how the Women’s March inspired them and asking why more people are not politically active the rest of the year. “I was happy that there were so many people involved and so many people that were resisting, but this year it felt more like people were over it,” industrial engineering sophomore Tara Loayza said. Loayza explained that the event is more than a march; it is a network of people who care about how people are treated. “The march provides a platform for change where we can continue some of these things we are doing to actually change,” Loayza said. Vice President of the Planned Parenthood Generation Action club Gina Welisch expressed her mixed feelings about the Women’s March in an email to Mustang News. While Welisch views having the community come together as a positive notion, she wants to also acknowledge the lack of participation after the Women’s March. Welisch wrote that the Women’s March inspired her to continue to show up and educate herself more. While Dawn Addis, one of the lead organizers of Women’s March SLO, is proud of the success of the march, she said she also recognizes the need to keep the spark alive after the march. “What I want students to know is if you aren’t registered here because you kept your home address, to get set up for the mail-in ballot so you can just mail it in from here and not have to go home to vote and not have to switch your resident address,” Addis said. Addis said that students were contributing to the Women’s March from start to finish. Addis said she believes the Women’s March gives students a chance to engage with taking control of their future. Based on her work with the Women’s March, Congressman Salud Carbajal (D-California) invited Addis to the State of the Union Address. 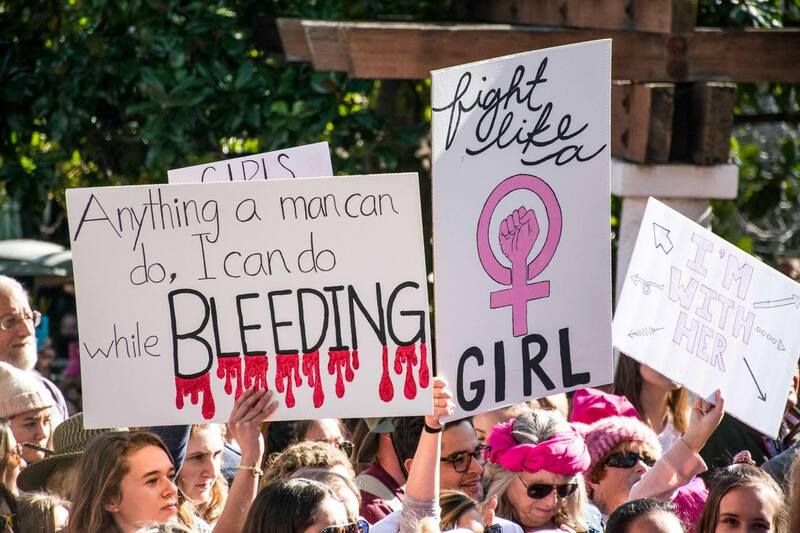 “It was really empowering just to see men, women, everyone to come out and take their Saturday off,” Women’s March SLO intern and communication studies junior Gabby Epstein said. According to Epstein, the theme of the march was “Power to the Polls” to get people ready for the 2018 midterm elections.